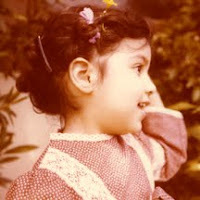 When I was around the age I was in this picture here, I'm told I started calling myself "Gigi." It's not really my name, but apparently I wasn't so fond of the other nickname everyone wanted to call me: "Gina." If you've ever met me for more than five minutes, you can tell I'm so NOT a Gina. Why? Well, I'm not exactly sure. And there you have the mystery of names. But there's definitely something to it. Over 30 years later, I'm still Gigi. And it still suits me much better than Gina. It often takes me a while to settle on character names, because I want to have that same feeling that a character fits with their name. When I hit upon the perfect name right away, it's pretty damn exciting. For example, one of the main characters in the book I'm working on now jumped off the page as Anand Vishwanathan. A seafaring adventurer from the south of India, it was so completely his name. Only... 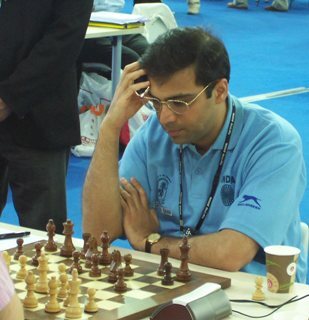 It turns out Anand Viswanathan is a super-famous Indian chess player. And not just any famous chess player -- but a guy who happens to be the current World Chess Champion. Unfortunately, he looks nothing like my Anand Vishwanathan. Somehow it doesn't seem a good idea to leave my Anand with the same name as a superstar known as the "Tiger of Madras." There are the pesky little legal reasons to consider (yes, I work with lawyers, and my agent is a lawyer, so I hear way too much about legal issues in my daily life) -- but the main problem for me is that when people read my book, I don't want them thinking about the real life chess star. I want them to form a new picture in their minds of the character I've created. Since many mystery readers are chess players, it's a fair bet many of them will know about the real life guy with the not-so-common name. So if anyone out there has ideas for a new super-cool Tamil last name for my fictional Anand, who was born along the coast in the Kingdom of Travancore in the late 1800s and went on to become a sailor who came to San Francisco right before the quake of 1906 -- I'd love to hear it! That's an unbelievable coincidence that you chose his name. I met Anand briefly, years ago when I played competitive chess, and he came across to me as a really nice guy. Which everyone else says too. What about using Weerasaka? I used to know someone by that name. Do you really think lots of mystery readers are also chess players? I'd love to do a series in which the detective is a GM visiting one exotic locale after another as he competes on the tour. last names of folks I work with, whom I coincidentally adore. funny, smart!! I read on wikipedia that folks from the state Tamil Nadu didn't have family names until recently, but in other places I see two names (assuming one is family name) for people in the 18th century. I believe that in Sri Lanka, you can only be assigned certain names, based on your birth date. New parents have to see an astrologer to find out what names are valid for any given child, and I have no idea how the system works. This might affect valid name combinations. I definitely think many mystery readers are chess players, or at least chess fans. Katherine Neville's The Eight was extremely popular, as are other chess-themed mysteries like The Flanders Panel. The puzzling-out properties of chess seem a somewhat similar brain activity to working out a mystery. Your own history speaks to that as a chess player turned mystery writer -- you should totally write that chess series next! Me, I never got good at chess, but I do have two Lewis Chessmen on my bookshelf. Indian naming systems are definitely challenging, since the convention of surnames isn't the same. Technically Anand Viswanathan is Viswanathan Anand, but Anand is the name he's called, so I swapped it in my prose for it to be easily understood. wow gigi that's amazing. do you think it's possible you might have heard the name once and it was roiling about deep in your brain? i ask because when i chose my first pen name, my new publisher politely informed my agent that they already *had* an author by that name. Yup i think i stole it subconsciously. bummer and kind of embarrassing. I Googled one version of my hero's name recently, thinking it was the one that would stick, and it turned out he was a doctor. And my hero is a doctor. No go.